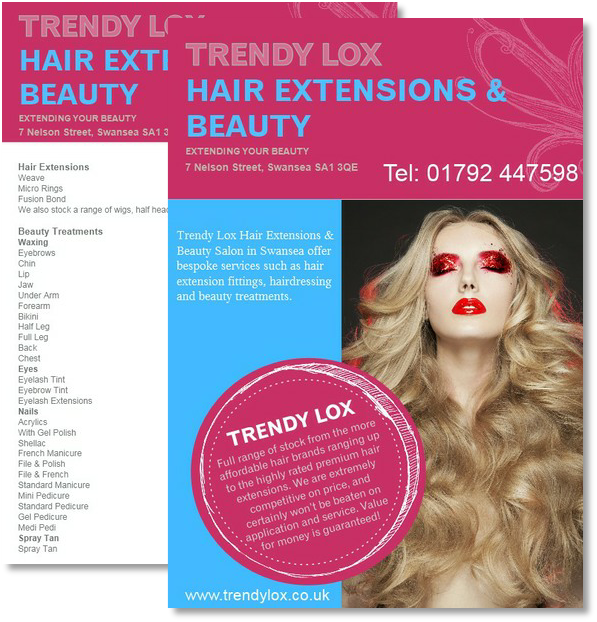 Trendy Lox Hair Extensions & Beauty. We are a Swansea based salon that offer bespoke services such as hair extension fitting, hairdressing and beauty treatments. With over 10 years experience in the hair industry, we have been supplying and fitting hair extensions within the South Wales area covering Carmarthen, Ammanford, Llanelli, Swansea, Neath, and Port Talbot. We are now based at a prime location in Swansea’s vibrant city centre.